As an animal owner, it’s important to have peace of mind that your pets are being kept safe on your property even when they’re left free to roam around outside. Many people have found traditional fences to be ineffective at protecting their pets, and installing an invisible fence has proven to be a better solution. Invisible Fence of Newtown understands that even the most well-behaved pets have the potential to wander off or find trouble from time to time, which is why they provide Connecticut residents with reliable pet containment systems. Since the area commonly gets quite a bit of snow, the company advises on how to make sure these products maintain optimal performance and continue to offer all their benefits throughout the winter months. Because of the way traditional fences are built and installed, pets are often able to dig out from underneath them or jump right over them. This isn’t possible with an invisible fence, which reduces the risk of pets escaping from a yard. However, since invisible fence installations typically involve burying the wire in the ground, it’s important to mark exactly where the system has been placed so it can be avoided when shoveling or plowing snow. Invisible fencing also allows for a great deal of flexibility when it comes to installation. Depending on what you want your pet to have access to, it can be strategically used to keep certain places around the yard off limits, such as pools, gardens, and parts of the lawn, or it can be set up around the entire perimeter of a property. Wherever your fence is positioned, it’s essential to keep in mind that snow piles can compromise its ability to protect pets properly. 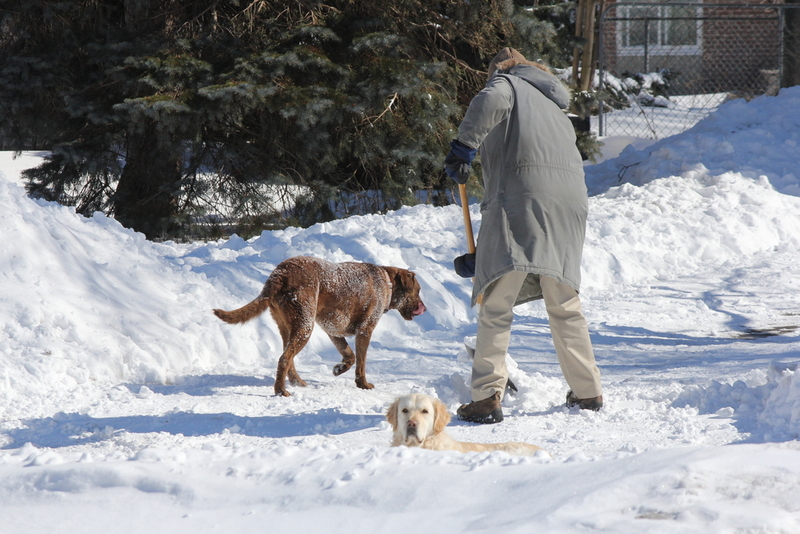 It’s best to shovel snow away from the boundary line so as not to inadvertently deactivate the signal. To make sure you’re able to enjoy all the advantages of an invisible fence in winter and keep your pets from straying, use these tips to take extra precautions in the snow. Contact Invisible Fence of Newtown at (888) 429-2421, or visit them online to learn more. You can also like them on Facebook for the latest news and updates.